Apple has launched iPhone X (iPhone 10) alongside iPhone 8 and iPhone 8 Plus at an event yesterday i.e., September 12. Comparing to iPhone 8 and 8 Plus, iPhone X is the device which people might be interested in, because of the Apple’s attempt to bezel-less display and new design. Today, we have brought iPhone X Wallpapers which you can use on your iPhone, iPad or Mac devices to make their home screen or lock screen look beautiful. iPhone X comes with one unique wallpaper in addition to the wallpapers which we saw on iPhone 8 and iPhone 8 Plus. 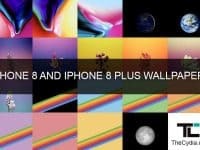 So, download the iPhone 8 and iPhone 8 Plus Wallpapers along with iPhone X Stock Wallpaper for the complete collection of iPhone X wallpapers. The iPhone X Stock Wallpaper is in 1255 x 2712 pixels in resolution packed in a zip archive of about 3.60MB in size. Below is the preview of the wallpaper, to download the wallpaper in original resolution download the zip archive from downloads section below. The iPhone X wallpaper is specific to this device and might not get included in the future iOS 11 update, which will be released on September 19. So, download the wallpapers and get iPhone X look on your iPhone or iPad. What are your thoughts about iPhone X? Share with us in the comment section below.